How Long Does a Hood Lift Support Shock Last? There are a number of instances where you will have to get under the hood of your car. 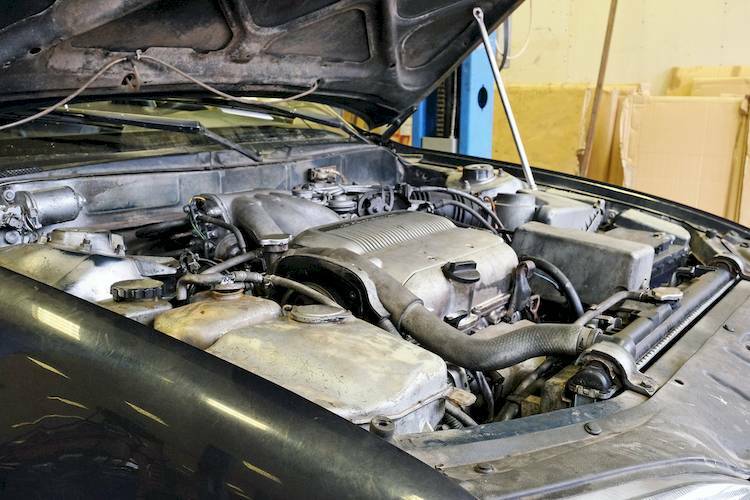 Whether it is to do a visual inspection or to find out what is causing issues, being able to lift the hood of your car is a vital part of performing these tasks. The hood lift support shocks are what helps to hold the hood up once you have opened it. These shocks have to support the full weight of the hood. Every time that you open your hood, these shocks will have to hold it up while you are doing work in the engine compartment. The hood lift supports on your car can last for about 50,000 miles or so before they need to be replaced. There are a variety of things that can lead to the demise of your hood lifts, but usually it is a leak in the pneumatic valve. When there is a leak in this part of the hood lift, it will be nearly impossible for it to hold the weight of the hood up. Not having this type of support when trying to work on your car can lead to a number of different negative consequences. The longer that you wait to get your hood supports replaced, the harder you will find it to get under your hood for any period of time. As soon as you notice that the hood supports on your vehicle are not performing how they should, you will need to get the proper replacements for your hood lift support shocks. In some cases, it can be a bit difficult to change out there supports alone, which is why having a professional do the work can be very beneficial. Buying quality replacement shocks is important when trying to restore the functionality of this part. Getting a professional to advise you on which parts to get can reduce the chance of error in a situation like this. Q: How do I check the level of the oil?